One third of all food is wasted; 795 million are hungry. These people want to fix that. You’ve heard the grim statistics: Roughly one third of food goes uneaten. In the US, 20 pounds of the groceries we lugged into the house, we carry back out as trash each month. As a nation, we’re wasting $165 billion dollars worth of food. And it’s not just us. Each year, wealthy countries waste almost as much food as sub-Saharan Africa produces. Food waste in Europe alone could feed 200 million hungry people — roughly the population of Brazil. Globally, we produce enough food to nourish the 795 million people who currently don’t get enough to eat. So why are some people wasting food while others go without? What gives? Here are 11 groups trying to close the gap between food waste and widespread hunger. What does a dinner of reclaimed food served to 5,000 people look like? Founder Tristram Shandy and his UK-based nonprofit Feedback (pictured above) would like to show you. Feeding the 5,000 is just one of the campaigns from a nonprofit that’s out to end food waste all along the supply chain through public awareness and policy change. And their efforts are diversified. Say cheers to all of them with Toast, a malty, golden ale brewed from rescued surplus bread, one of the largest contributors to consumer food waste. All profits from the beer go to Feedback and the war on waste. Think back to college and you’ll remember: Large-format dining, like corporate cafeterias and dining halls, can produce vast amounts of food waste. The sight didn’t sit well with three University of Maryland College Park students in 2011; by the end of the school year, they had provided 30,000 meals to DC-area partner agencies. 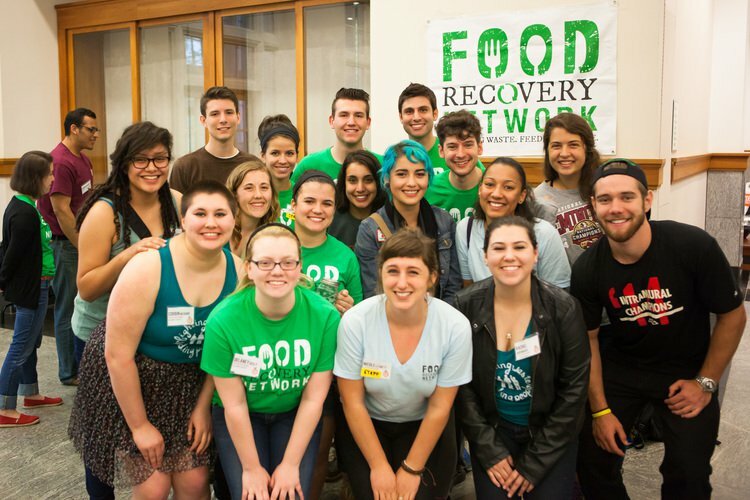 The student-run Food Recovery Network is now a professional non-profit with 91 chapters that rescues would-be waste and redirects it to agencies providing food for the hungry. 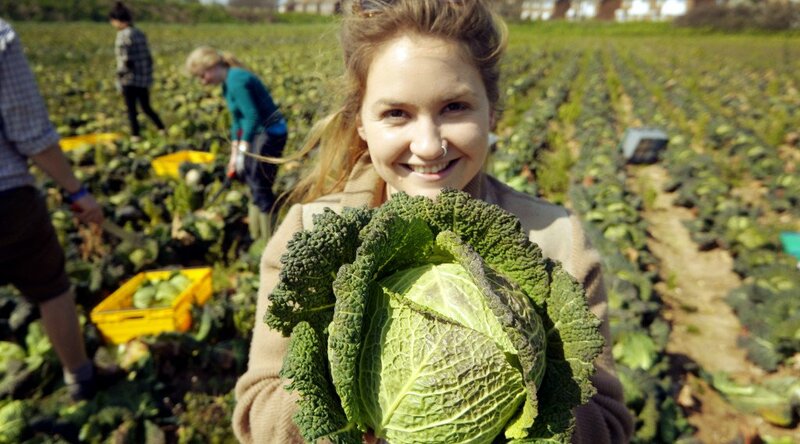 “We’ve made higher education the first sector where food recovery is the norm and not the exception,” they declare on their website. In Tucson, Arizona, refugees from Africa, Asia, and the Middle East locate, harvest, and redistribute fruits and vegetables including citrus, carob, pomegranate, dates, and olives that would otherwise go to waste. But the Iskashitaa Refugee Network isn’t just out to end food waste. By working with refugees from more 30 different ethnic groups, they are also introducing them to a new community, connecting them with resources and opportunities. Local programs Market on the Move and Produce on Wheels also collaborate with Iskashitaa by providing each participant of the program with access to high-quality produce from Mexico that often goes to waste for arbitrary reasons when it enters the US at the border. Read More: This Guy Spent Only $2.25 on Food in the Last Year. Here's How. We'll go to any length to get the mission accomplished & the meals out. In Los Angeles, 18 million pounds of food is chucked every day and nearly 300,000 people are without work. “L.A. Kitchen believes that neither food nor people should ever go to waste,” states their mission. Working with imperfect produce from local farms and wholesalers as their raw materials, L.A. Kitchen provides 15-week culinary job training to the unemployed, equipping them with the skills and experience to find work. The nutritionally dense food is prepared from scratch and then distributed to local agencies that serve Los Angeles’ most vulnerable populations, especially older adults. In 2016, L.A. Kitchen won both a Sustainable Business Award from the city and the Eisner Prize for Innovation in Intergenerational Solutions. It began with six volunteers driving around Delhi in August of 2014, collecting unsold food from restaurants and serving about 100 people. But the founders of Robin Hood Army quickly realized those efforts wouldn’t cut it. 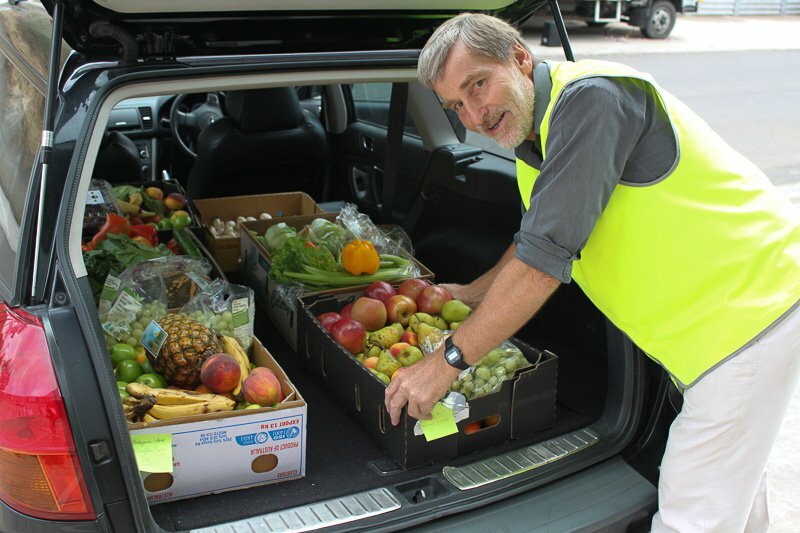 “Honestly, feeding 50 odd people a night, once a week is not going to create any real difference in a country where millions are starving,” the group writes. “For a problem this acute, we need to reach out to more people, more restaurants, and more cities — the deadline being yesterday.” Their grassroots effort has made the most of social media to grow their team and spread their message. The Robin Hood Army now has a force of about 5,200 volunteers spread among more than 30 cities. They’ve served more than a half-million meals. Much of the food waste in Africa is post-harvest, pre-consumer loss due to lack of proper facilities to dry and store crops before they are sold; in Uganda, 95 percent of food waste occurs in the post-harvest, production, and distribution stages. 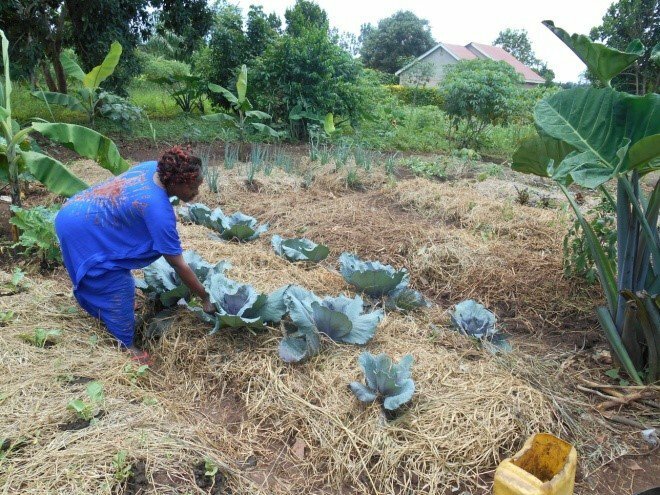 As part of the Zero Hunger Challenge, the World Food Programme (WFP) focused on minimizing these losses through trainings and workshops in Uganda and Burkina Faso for farmers like Hasifa Nakaziba. The mother of seven would routinely lose as much as 30 percent of her maize and bean harvest to pests. Unable to safely store her harvest, Nakaziba would sell her grain early, fetching a low price at market. “It affected our income, food security, and also the education of our children,” she told The Guardian. The WFP trainings provided simple storage facilities and improved farm management techniques and proved hugely successful, reducing waste and improving food security for about 41,000 farmers. This nonprofit research and development institute based in Taiwan is on a mission to end malnutrition and poverty in the developing world through vegetables. With projects throughout Asia, Australia, and Africa, the World Vegetable Center helps smallholder farmers profitably participate in high-value vegetable supply chains, minimize post-harvest losses, and increase vegetable consumption, leading to improved food security for producers and consumers. This spring, the center participated in the Women in Agriculture Network Cambodia project to improve nutrition through improved agricultural training that would produce higher yields of nutrient vegetables. “The goal is to have an impact over the long period to reduce stunted children and to introduce households to vegetables and nutrition,” the World Vegetable Center’s Stuart Brown told the Phnom Penh Post. In restaurants, a conflict between a desire to not overeat and not waste food can play out on the plate. Launched in 2012, Brazil’s Satisfeito solves that predicament. At participating restaurants, diners can choose entrees that are one third smaller than a usual serving. The restaurant’s savings from smaller portions are donated to organizations that fight child hunger in São Paulo. Win-win. That Denmark has successfully cut its food waste by a quarter since 2010 is thanks in part to Selina Juul. "Food is love,” the founder of Stop Wasting Food told Deutsche Welle. “If we throw away food, we throw away love." Mobilizing Danes through two of their passions — to save money and the environment — Stop Wasting Food has been able to activate change up at the policy level. Denmark has more initiatives against food waste than any other country, and announced at the Global Green Growth Forum its support of a new strategy to implement the first-ever global food waste measurement standard. Using smart algorithmic software, Chicago-based Zero Percent connects 480 food donors — restaurants, corporate cafeterias, grocery stores, and catering companies — with 358 nonprofits. And this technology travels. 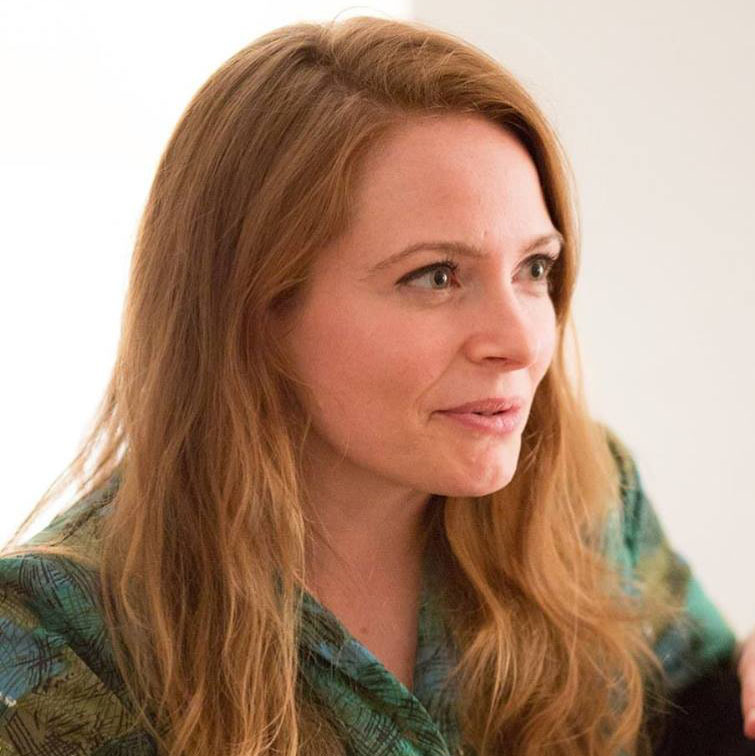 Zero Percent is partnering with heavyweights like the Natural Resources Defense Council and pursuing projects in Nashville, Tennessee, and Minneapolis, Minnesota. A slew of apps around the world are on similar missions, connecting what would be waste with either non-profits or consumers, including Food Cowboy, Food Shift and Spoiler Alert in the U.S., Too Good To Go, which operates in six European countries, Neighbourly, FareShare and FoodCloud in the U.K., FoodLoop in Germany, Zéro-Gâchis in France, and Froodly in Finland.